The video above is David’s speech to the NSW Legislative Council on the Hunters Hill Congregational Church Property trust Bill 2013, where he details the problems with the proposed approach to lifting the genuine administrative burdens of property law. The issue highlights the problem that rises with the trust structure proposed for the Hunters Hill Congregational Church. That structure has been used by the Catholic Church to avoid liability for claims lodged by victims of sexual abuse. This goes to the heart of David’s Justice for Victims campaign and touches the issue known as the Ellis Defence. For more information about this defence, and the ongoing problem it poses for victims of sexual abuse within the Catholic Church see the Justice for Victims campaign page. The full text follows, or see find the full Legislative Council debate in hansard here, where David’s Speech begins at 12:20pm. Mr DAVID SHOEBRIDGE [12.20 p.m.]: I speak on behalf of The Greens on the Hunters Hill Congregational Church Property Trust Bill 2013. I note the very proud and long history of the various Congregational churches. The denomination has been at the forefront of progressive causes for centuries and was a strong and principled supporter of the abolitionist cause; it was ahead of many in the community in opposing slavery. I am sure that Reverend the Hon. Fred Nile, who is in the chair, supports its efforts with regard to the temperance movement in the late nineteenth and early twentieth centuries. It was also one of the leading voices in support of women’s suffrage. It has a proud history of advocating for all of those causes from a strong grassroots base. It comprises strong, independent local congregations with internal democratic processes. I commend the work of the Hunters Hill Congregational Church and note that since the 1870s it has been a strong, independent grassroots organisation on the North Shore that is now expanding to other areas of Sydney. (c) to make gifts or donations of that property for the purposes of the congregation. The clause also clarifies that the congregation can still control how the trust exercises its power. The Greens have no difficulty with the concept of the congregation being able to direct the trust; that is a good thing because it supports grassroots democracy and an independent church. The difficulty is that the functions of the trust are expressly limited to holding only congregational trust property. Clause 18 (1) is almost a direct copy of section 9 of the Roman Catholic Church Trust Property Act 1936. For those interested in the history of this issue, the Catholic Church confronted exactly the same problem in the 1930s. The Catholic Church is an unincorporated association with no distinct legal identity—it has the same legal status as the local mothers’ club under New South Wales legislation. At that time the church had a number of named individual trustees in whom its property was vested. Like the Hunters Hill Congregational Church, the Catholic Church found it administratively burdensome when individual trustees died or ceased to have contact with the church because it was frequently required to update Land and Property Information records. Section 9 of the Roman Catholic Church Trust Property Act 1936 has been transposed to clause 18 of the bill before the House. That measure provided administrative convenience in the 1930s; in fact, it has provided ongoing administrative convenience to the Catholic Church for the better part of eight decades. The Greens see the common sense in not requiring trustees or the executors of their estates to execute trustee transfers. However, a very substantial problem arises with the trust structure proposed for the Hunters Hill Congregational Church. That structure has been used by the Catholic Church to avoid liability for claims lodged by victims of sexual abuse. The fact that the O’Farrell Government has proposed the same model in this legislation is a sign that it has learned nothing from the widespread public concern about the Catholic Church’s legal manoeuvres to avoid paying compensation to victims of sexual abuse. Despite the blatantly inaccurate denials by Cardinal Pell, the Catholic Church has regularly used its statutory trust structure to defeat claims lodged by victims of sexual abuse. 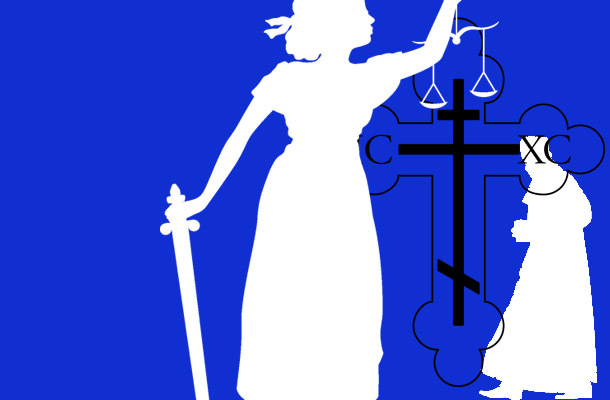 Using section 9 of its legislation, the church has claimed that the property held in the Catholic Church dioceses trusts—each diocese has its own statutory trust—can be used only to meet property-related claims and is therefore protected or shielded from abuse claims related to its pastoral care. That defence is almost universally referred to as the “Ellis defence” by the church, and by advocates and lawyers seeking decent compensation for victims of abuse. The Ellis defence emerged from a case involving John Ellis, who is now a practising lawyer in New South Wales. He is a very courageous man and an extraordinarily principled advocate for reform in this area. He sued the trust of the diocese in which he was abused, because, as I said, there is no entity called the “Catholic Church” that can be sued at law—it is an unincorporated association. He sued the church for being repeatedly sexually abused by an assistant priest when he was a young boy. This appalling breach of trust caused appalling damage to a young life. Remarkably, in its defence, the church never denied the abuse had happened. It never met the claim on its merits. Rather, the Catholic Church said, “You cannot sue the cardinal because he was not the cardinal at the time. The former cardinal is dead; therefore, that part of your claim must fail.” It further said, “The trust’s assets are protected because of the provisions of section 9 of the 1936 Act and those assets can only respond to property-related claims.” If the young John Ellis had been injured by a falling rafter in the hall then, yes, the property trusts would have been responsible, but because the young John Ellis was sexually abused by an assistant priest that related to pastoral failures of the church and was not a property-related claim. Thus the church argued that all of its assets held in trust were shielded from that suit. At first instance the church’s case, which was heard by a single Supreme Court judge, was not successful. It unsuccessfully sought to strike out Mr Ellis’s claim; he was allowed to continue his claim. The church and Cardinal Pell then appealed to the Court of Appeal, which held that the church was right. It did not have to deal with the substance of the claim and Cardinal Pell was protected because he was not the cardinal at the time. The Court of Appeal held there was no incorporated association which the plaintiff could sue and all the church property trusts were protected from suit because they only related to property-related matters. So John Ellis’s case was thrown out in the Court of Appeal. A review was then sought, by special leave, in the High Court and that was not successful. Rather than learning that lesson and putting in place modern, principled accountable structures for this church, this legislation delivers to the Hunters Hill Congregational Church exactly the same one-sided legal structure which had been delivered to the Catholic Church. I have absolutely no reason to believe that the Hunters Hill Congregational Church or anyone involved with it—its ministers, members or supporters—are in any way involved in any abuse. Indeed, I am not suggesting that. This is about structuring an organisation in an open and accountable way and learning from lessons of the past—how the Catholic Church has repeatedly abused the Ellis defence. I am told time and again that church representatives sitting opposite those victims seeking some kind of justice in their mediations with the Catholic Church, through what is euphemistically called the Towards Healing process, say, “What has happened to you is awful. We empathise. You are telling a terrible story but you cannot win this case. Have you heard about the Ellis defence?” Then they propose de minimis settlements for embarrassingly small damages claims. It is wrong in principle to extend that flawed structure. I fully understand why the Hunters Hill Congregational Church wants to modernise its property structures but it should not do it in this way. I would support a bill that allowed them to have a statutory corporation that could hold the property and avoided the pointless administrative burden of constantly reappointing trustees. I would support a bill that would allow those individual members of the congregation who are being held as trustees to get away from that burden—it is an administrative legal burden when you are a trustee and the property you are a trustee for continues to grow. The Hunters Hill Congregational Church should not attempt to modernise in this way or with clause 18 of the bill. The Greens can see no rational reason for putting that flawed legal loophole, which would allow yet another denomination, if they were ever met with an abuse claim, into yet another piece of legislation? But I say for the record that I have absolutely no reason to think that they ever will be, or have ever been, subject to any such claims.